All the build up and then Christmas was over in a flash. Hope you all had a good one and have made some New Year's resolutions that you can keep. To spend more time sewing, perhaps! We have a full programme for 2014 starting with a rather scary title for January. 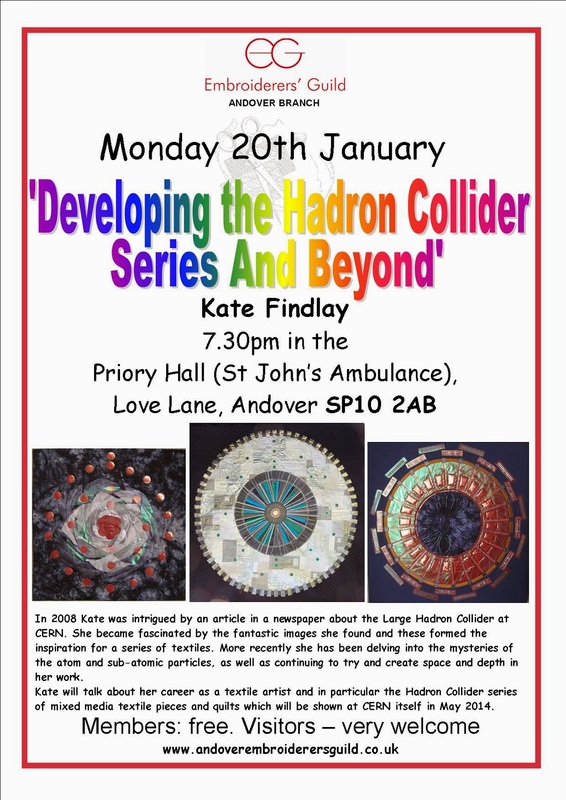 However you don't need to have a degree in physics that's just the inspiration for Kate's work which looks fabulous.